Scott Levine is a designer for Cornell University Press. 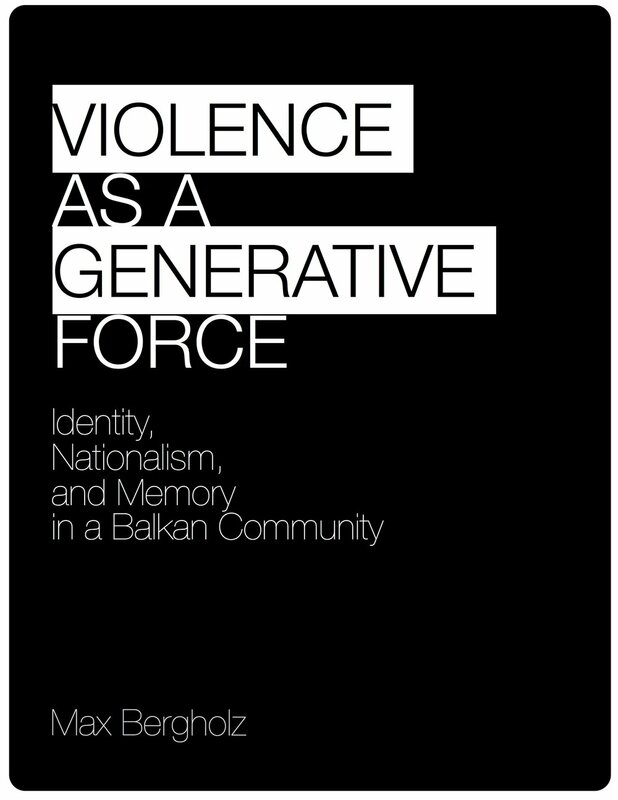 Among his works is the cover for Max Bergholz's Violence as a Generative Force. Here he details his process for creating the image, in his own words. I have been designing book covers for about twenty years. One question I am often asked is “how long does it take to design one?” I wish I had a better answer to that question other than my usual “it depends,” but designers know that there are a number of factors at play: subject matter, deadlines, art budgets, sales expectations, the market, authors, editors, availability of art, just to name a few, that can shorten or lengthen the process. 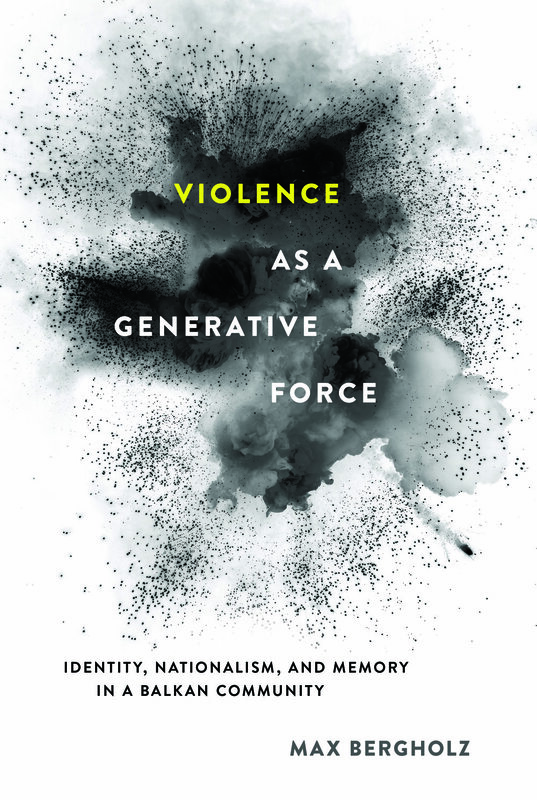 When Spine Magazine asked me to write about my process for the recent jacket design of Max Bergholz’s book, Violence as a Generative Force, I was flattered to have the design recognized but was unsure how I was going to explain the details of my process. The Bergholz jacket was one of those designs that came together very quickly and I wasn’t sure I would have a lot to say. As I looked back, I realized that this design started like all other designs, with a blank page and a lot of potential. I thought about the series of choices and decisions I had to make, and I realized there was plenty to say, even if the design did not take a long time to complete. Before I begin a design I need to assess what the press wants the cover to say, who are we trying to say it to, and how we want to say it. It basically requires me to be a visual problem solver, or a detective solving a case. I investigate any useful clues and information that will aid with the design and try to piece it together and form a general concept or direction for the cover. Publishers often differ in their design process but I think, in general, publishing houses have some sort of system to record and communicate what is wanted for the cover. At Cornell University Press, we have both written memos and preliminary discussions about cover ideas that are either one-on-one with the acquiring editor or in a larger group setting that involves members of the marketing, acquisitions, and design departments. In the case of Violence as a Generative Force, I was able to gather most of what I needed from one of our internal memos, which we simply call the design memo. The design memo is set up as a series of questions that the editor and the marketing department answer in order to supply the designer with a suggested direction for the jacket design. Topics such as the desired overall look, who the book’s target audience is, any comparable book covers, and an idea of what elements need to be made more prominent than others. For example, should the author’s name or the subtitle be more or less prominent than what is usually expected? Last, the design memo is also a vehicle for suggesting potential art or concepts. This may come from the author, editor, or marketing. In this case, the author had something specific in mind that helped me focus on a particular direction. Based on the design memo, I was required to create a design that was overall “atmospheric, threatening, and powerful.” The acquiring editor added that we didn’t want the look of the cover to be too specific to the region covered (Bosnia in 1941) because the book’s “argument is critical for all geographical areas because it makes so strong a counter-conventional claim about the violence: nationalism: identity nexus.” Therefore, I envisioned a design that should be more conceptual in nature than to focus on the details of the history being discussed. This eliminated the need for any historical images and a typical history look. Another influence for the jacket’s design was the author’s suggested look for the book. Max Bergholz supplied some rough sketches of what he was envisioning. He was really looking to stay away from anything over-the-top—No fire, no brimstone no evidence of war. Rather, he desired something that was minimalist, not violent, but explosive. It left me with a fun challenge to solve. How do I show violence but in a minimal way? I took this question, added it to my cues from the memos and the author’s suggestion and went looking for an image. I was ready to begin the design. As an academic press, our print-runs are not usually very high in quantity as compared to a larger commercial publisher. This factor can sometimes make it hard to find funding to purchase art for use on jackets and covers. The more jackets you print, the greater number of books you can spread the cost of licensing an image or commissioning original artwork across. For that reason we subscribe to a royalty-free stock house where we can purchase images to work with for a lower price than at one of the larger stock imagery houses. This stock house is generally more useful as a source of images that can be used as elements of a design rather than a place to find that singular piece of art that has been carefully crafted, but from time to time you will find an exceptional image that can stand on it’s own. I didn’t know what I would find when I started with the basic search for “explosion” so I was pleasantly surprised to see so many potential options. One image, in particular, caught my eye. I downloaded the image, placed it on my empty page and never looked back. It worked and I knew it right away. The shape of the image provided plenty of room for the type to stand out and to also be set in an interesting way. I allowed the shape of the smoke to roughly guide my line breaks and type placement. At this point I had the basic look that you see on the final cover, except all of the type was white. It looked too sparse. I needed to develop it more so I began to experiment with some variations. A lot of design is trial and error. With each new variation of the design I added more and more color. My first attempt resulted in the final cover. Simply adding yellow only to the word “violence” made it more powerful because it was the only place where there was color being used. It drew the eye in nicely and seemed to strike the right balance. Another version used the yellow throughout the design, coloring the type and highlighting the subtitle and author. Looking back, the yellow is too dominant in this case, and makes the explosion recede and as a result, be less impactful. Comp C was another progressive step away from minimalism where I was trying to go against the expectations of an explosion by coloring it blue. In the end, comp A struck the right balance and was approved by the editor and marketing team. We were now ready to show Max Bergholz his cover. His response made it clear to us that he was really happy. A few months later I revisited this cover design when it was time to develop the rest of the jacket: the flaps, the spine, and the back cover all need to be designed. It's a chance to further develop the cover’s concept and apply those ideas to the rest of the jacket. Being over 400 pages in length, I had a very wide spine to use and I wanted to take advantage of that aspect. I knew that making the entire background of the spine yellow would make another powerful statement, albeit in a minimal way. Spine designs are important and help the book attract attention on the shelf if it is placed spine-out and potential readers are not introduced to the book via its cover. The same notion was applied to the back cover of the book jacket. In the end, everything was colored monochromatically black except for the names of the blurbers. I added a simple, but visually powerful yellow panel behind each name, mimicking the look of the spine, giving them greater importance than the other copy on the back cover. One last touch was to make sure that the explosion on the cover was not bound by it. I wanted to communicate that violence and explosions are not easily contained or controlled. To do this I cloned some of the explosive debris found on the edges of the original art onto the front flap and the spine. All that was needed now was to have it proofread and sent to the printer. The jacket was done. So how long did it take to design this cover? In retrospect, I realized it took twenty years. Revisiting the process I used for this design has helped me realize that most of the choices and decisions I make as a designer are drawn from a collective experience—my past mistakes and successes, the helpful peers and mentors I have worked alongside have helped me to shape my instincts and guide my choices as a designer. They certainly helped in the case of Max Bergholz’s/Violence as a Generative Force.